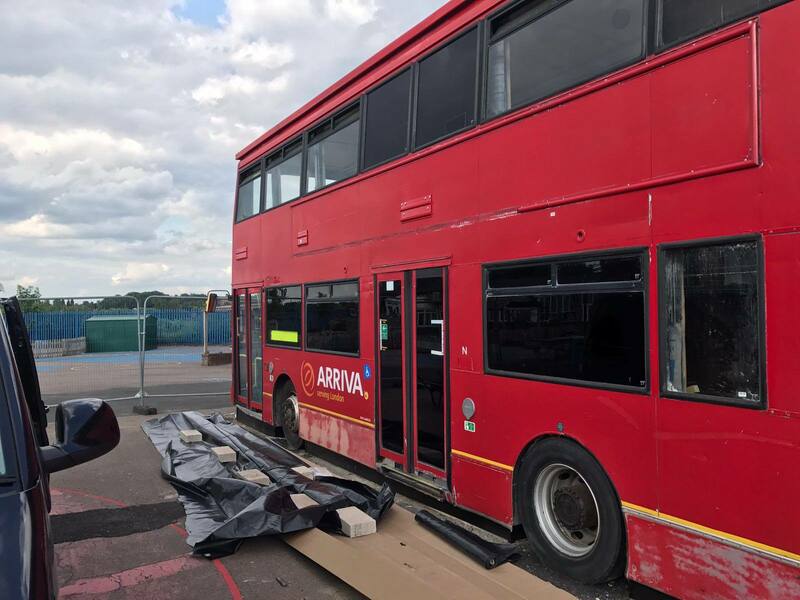 On Site Spraying of a London Bus. This was an unusual project for Vanda Coatings. 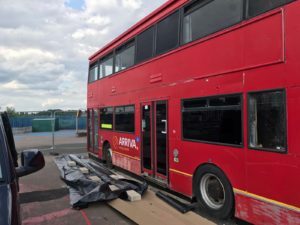 Since we have been in business since 1997 we have been asked to spray a variety of items on-site, but never tasked with the spraying of a London Bus. We were contacted by a firm of architects and asked to re-coat a London Bus on site at a school in North Birmingham. The Story Wood school and children’s centre planned on turning an old bus into a library for their playground area. The bus needed to be returned to its former glory and after years of wear and tear, looked weathered as shown in the following photo. We were asked to carry out the project during the half term school holidays to avoid disruption to school operations. 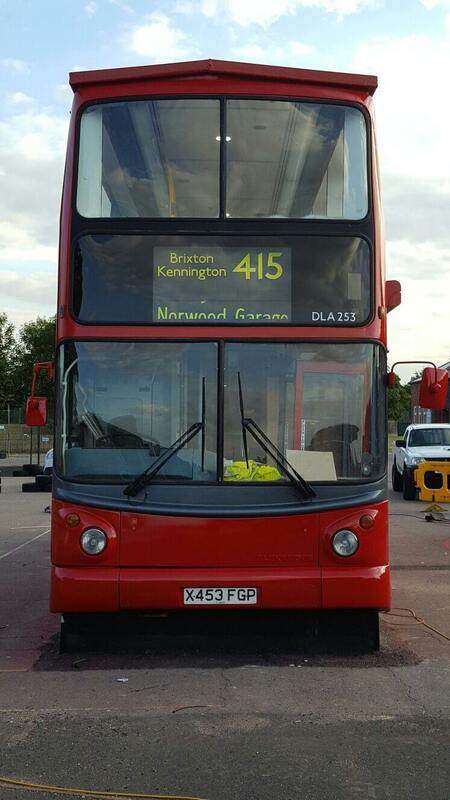 The colour requirements were to change from the existing dark red colour to the old bright red London Bus colours. Our team arrived and thoroughly cleaned the bus. They then masked all areas like windows and trim, they then mechanically sanded and filled any areas that required further treatment. 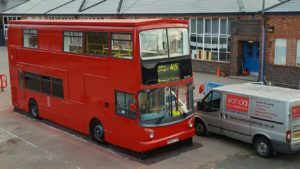 Once the panels of the bus were in a condition suitable for coating, we applied coats of a hard wearing two pack acrylic. This coating is suitable for the weather conditions that we face in the UK. Our extreme conditions of cold, wet and occasional heat can affect the life expectancy of the paintwork. The team flatted back and re-coated and de-masked. The bus was presented to the school and architects for inspection and they were happy with the finished result. The bus is no happily on display at the school playground where pupils and teachers are using the facility as a functioning library. We are often tasked with unusual requests, if you have a project that requires on site spraying please contact us.